A polluted beach near the Rostock harbour was cleaned up within the framework of the EU-wide Ocean Initiatives programme against marine litter pollution through beach, lake, river and submarine clean-ups, taking place from 22nd to 25th March. 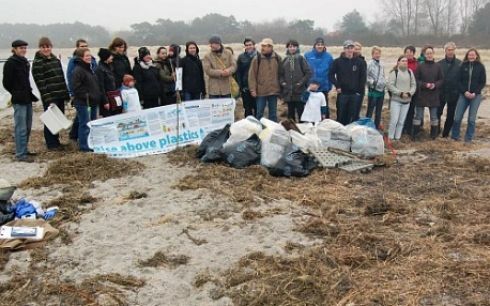 Over 30 people participated in this event in Rostock to clean a 300m long coastal section during 90 minutes. The campaign was initiated by the Surfrider Foundation Europe and conducted by several stakeholders.